Faye Dunaway and SoKo have been snapped up by the Italian fashion house to front its new #GucciStyle campaign. Faye Dunaway will be featured in the #GucciStyle campaign. 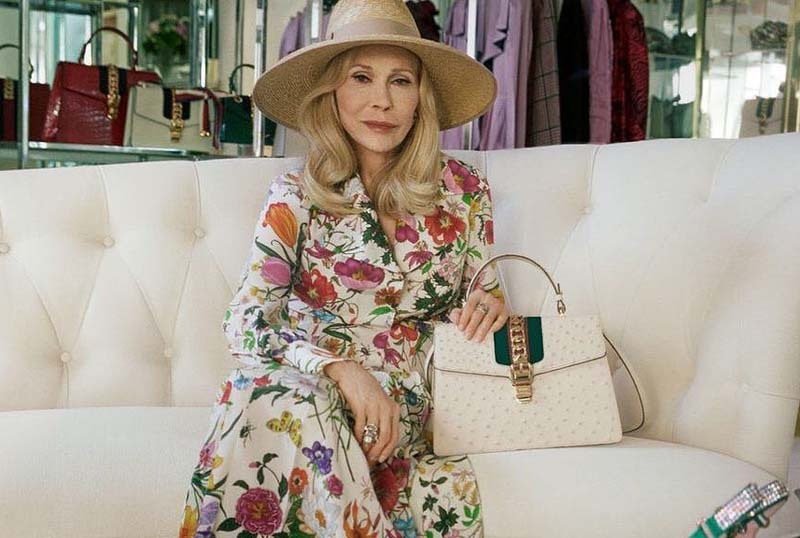 Faye Dunaway has landed a new role as the latest Gucci girl. The 77-year-old Hollywood star has been snapped up by the Italian fashion house to front the new #GucciStyle campaign for its ‘Sylvie’ handbag, alongside French actress and musician SoKo. [post_ads]The duo play a mother and daughter in the quirky campaign film, which sees them shopping, playing tennis and swapping gifts in sun-drenched Beverly Hills, donning everything from swag tracksuits to chic coats, and, of course, modelling plenty of handbags. Referred to by Gucci as “a nod to relationships between Hollywood mothers and daughters,” the clip was created by influential industry figure Petra Collins, with Gucci’s Alessandro Michele providing creative direction. While the campaign is Oscar winner Dunaway’s first for Gucci, SoKo has previously starred in multiple editorials for the house. The duo are not the only high-profile campaign stars to have stepped in front of the camera for Michele recently; last month saw the brand unveil its highly-anticipated campaign images featuring singer and actor Harry Styles.